← Boston Flower Show This Week! New England Flower Show – Just delightful! 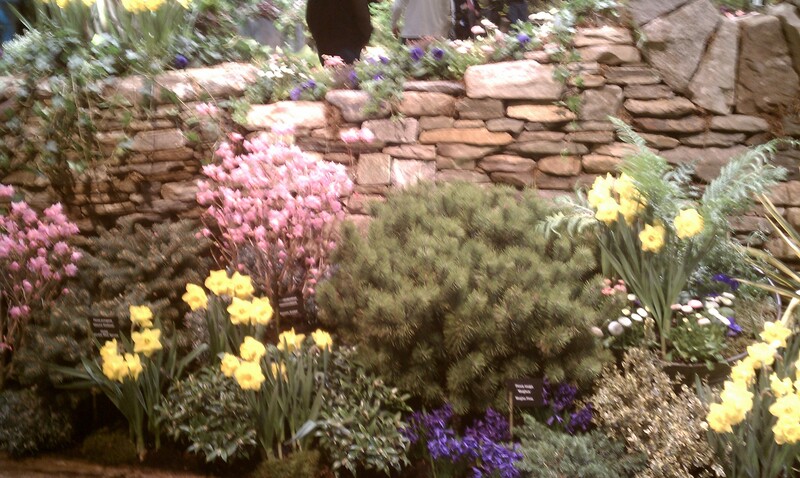 Take my advice… Read this blog and then get to the New England Flower Show before it ends on Sunday, March 20th! And bring a notebook. You’ll want to keep track of all the beautiful plants you want in your city garden! This year’s show is just filled with delights – flowing ivy, vibrant Japanese maples, pops of flower color everywhere; earthy, fragrant smells that inspire deep, soul-cleansing breaths. Can you tell I liked this show? 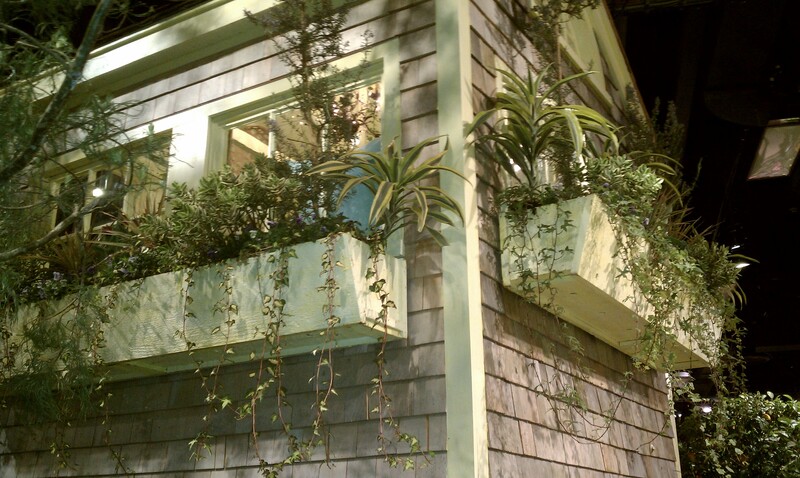 One of the first gardens you see upon entering the Seaport World Trade Center Hall is a lush garden with trees and flowers and shrubs but look up… there’s a tree house with gorgeous window boxes with ivy spilling down and a small patio tucked under the house. So playful and inviting. To the right is a beautiful stone patio with container gardens overflowing with hydrangeas and more. Continue through the show and you’ll find delights at every turn. 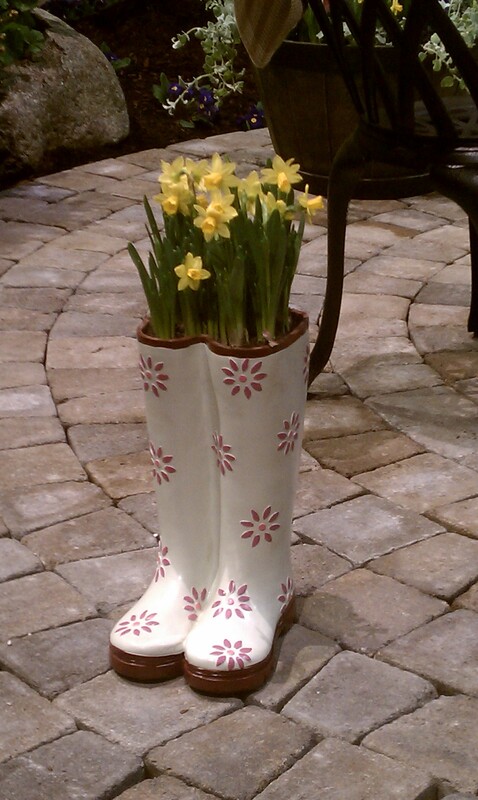 Find the rain boots with the daffodils, the flower cupcakes, the planter made of horseshoe crabs, the towering container garden fit for Versailles. This show is worth the trip and worth the price of admission. If you go, please share your favorite garden or sight! Enjoy!